If you long for active relax and new experience, holiday in Zdiar is the best choice. 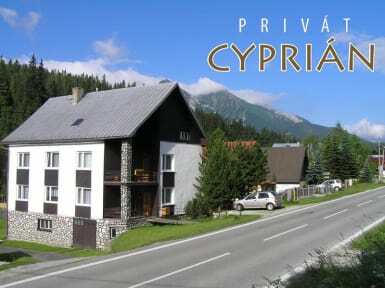 'Privat Cyprian' is situated in Zdiar. 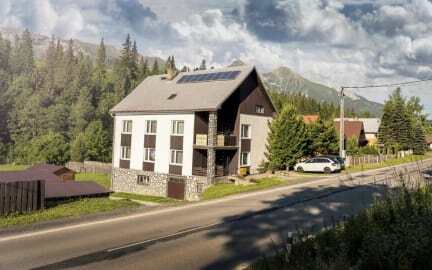 The territory of Zdiar takes in the Belianske Tatry. We provide accommodation for 10 people (2x2 and 2x3) with a chance of an extra bed. The rooms are on the first floor, there is a common kitchen, a bathroom and a WC. In winter Zdiar is popular for skiing and cross-country skiing. There are about 20 ski lifts and 2 chairlifts in our village. The most romantic during holiday will be a sleigh tour along fabulous contry covered with snow.